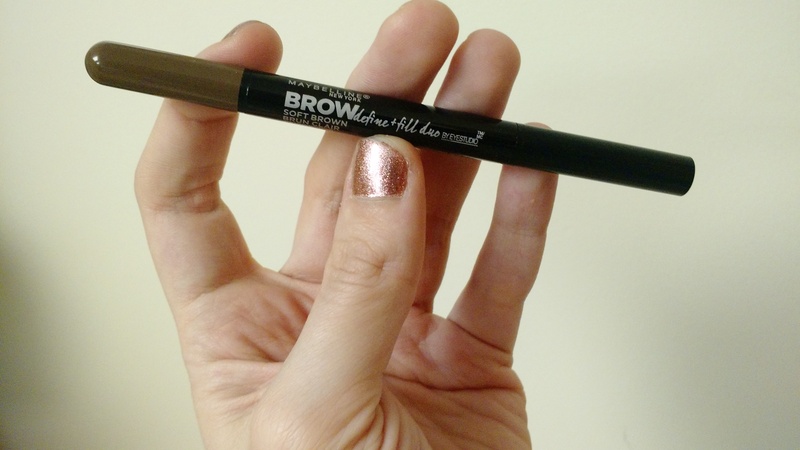 This Maybelline brow duo comes with a defining wax pencil and a filling powder stick. The main reason I wanted to try the product is because of this ‘mess-free’ powder. It’s a sponge tip applicator and the cap for this end of the duo is what distributes the powder onto the sponge. As someone who loves to use powder on my brows more for making my brows look full rather than using it to make crisp lines I thought this would make my makeup process a little easier. The product comes in four different shades: blonde, soft brown, deep brown and auburn. 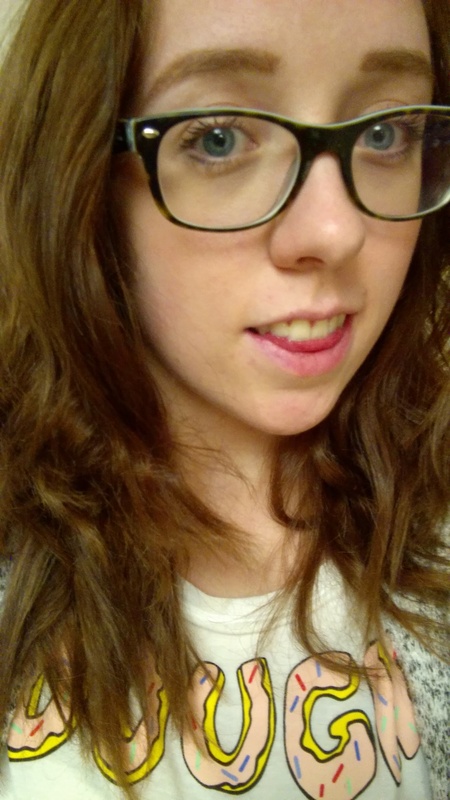 I ended up purchasing soft brown which worked well with my brows and current hair colour. When first applying the pencil I found it to be extremely difficult to work with. When Maybelline says that this is a waxy pencil, they mean it. I had to work it into the back of my hand a little to warm it up and make it easier to apply. It ended up being a little chunky in certain areas, some of the product started to ball up into my brows – but that all disappeared when I brushed my spoolie through my brow at the end. The filling powder was exactly what I expected it to be though. It filled in all the sparse areas perfectly and it seemed to set the pencil nicely. 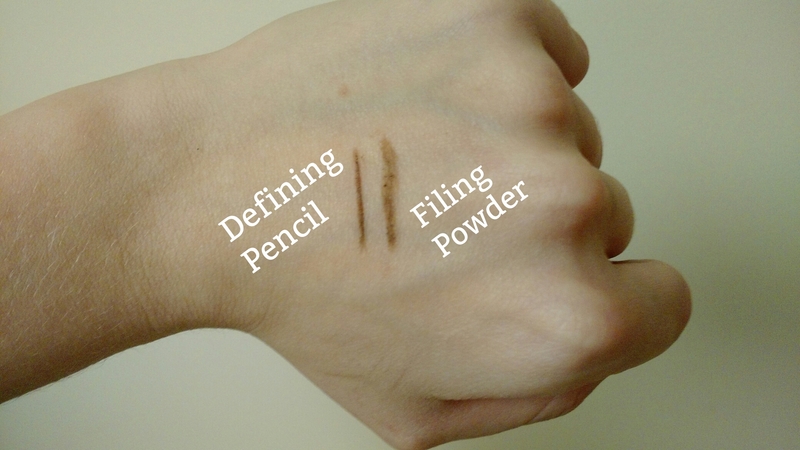 The powder was similar to the pencil though, it was a little chunky in certain areas and distributed product a little unevenly because of that – but again similar to the pencil as soon as you brush a spoolie through it all evens out. I don’t think this is going to be a holy grail brow product for me. 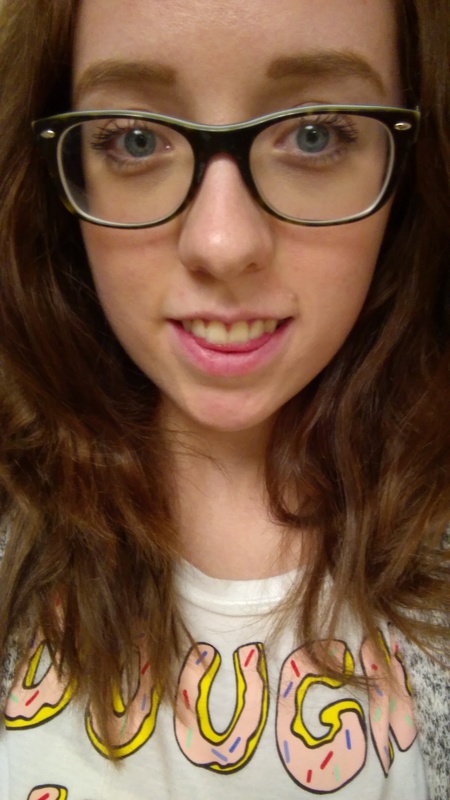 I think the pencil itself took a lot longer to make my brows look how I wanted them to. This was because of how hard the product was to work with and its waxy texture. I really do like the powder part of the duo, I’ll be keeping this product just for that. One other reason that I liked the product is it’s staying power. Maybelline claims that it has a 12 hour wear time. I don’t know for sure if it would last that long but I wore it for about 9 hours and it still looked exactly how it did when I first put on the product. If your looking for a quick and easy brow product that will make defining and filling a simple task than this probably is not the product for you. But if you want something that will last through a work day smudge free than definitely give the Maybelline Brow Define and Fill Duo a shot.